BRAND'S® Bird's Nest with No Added Sugar is formulated with meticulously cleaned premium bird's nest. 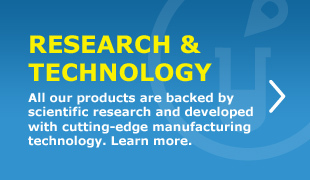 It is brewed using advanced technology in hygienic processing conditions. BRAND'S® Bird's Nest with No Added Sugar is airtight sealed to maintain its fresh taste. It does not contain preservatives and colouring. Water, Sweetener (Sorbitol), Sweetener (Xylitol), Dry Bird’s Nest, Stabiliser (Gellan Gum). 1. What is bird’s nest or BRAND’S® Bird’s Nest with No Added Sugar? Bird’s nest is the nest made from the saliva of swiftlets which dwell in caves, cliffs and man-made structures. 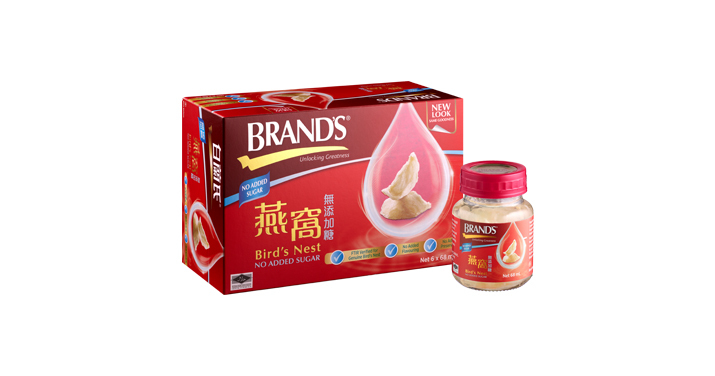 BRAND’S® Bird’s Nest with No Added Sugar is formulated using meticulously cleaned premium bird’s nest and selected sweeteners and manufactured using advanced technology in hygienic processing conditions, providing consumers an easy and convenient format to drink bird’s nest . While sugar free, it has a pleasant sweet taste from the sweeteners. 2. What are the benefits of bird’s nest? a) Helps to keep skin healthy and radiant. b) Helps to keep skin moist and prevent skin dryness. c) Helps to provide a gentle cooling effect to reduce heatiness. d) Helps to stimulate appetite and digestion. e) Provides good source of nutrients such as glycoprotein, minerals, vitamins and fatty acids. 3. Bird’s nest is said to have health and beauty benefits. Is that true? Any there any scientific studies to prove that? 4. Does BRAND’S® Bird’s Nest contain real bird’s nest? Where does the bird’s nest come from? Yes, we use genuine bird’s nest that go through stringent checks and quality controls. We procure our bird’s nest from Southeast Asia countries such as Indonesia, Malaysia and Thailand. 5. How does BRAND’S® ensure that the bird’s nest procured from suppliers come from a legitimate source that does not harm the swiftlets? BRAND’S® obtains its bird’s nest from accredited suppliers who practise sustainable harvesting. 6. Where is BRAND’S® Bird’s Nest made? BRAND’S® Bird’s Nest is produced in the BRAND’S® factory in Thailand. It is subject to meticulous and stringent processes including rigorous cleaning, treatment and procedures, through to the evaluation and qualification of the final product before it is packed and shipped to retail stores worldwide. 7. What is the difference between a sweetener and sugar? A sweetener is a substance that is used to replace sugar for sweetening food or drink. There are two major categories of sweetener or sugar substitute; sugar alcohol and artificial sweetener. 8. What sweeteners are used in BRAND’S® Bird’s Nest with No Added Sugar? We used a combination of Sorbitol and Xylitol; both are sugar alcohols. 9. What are Sorbitol and Xylitol and what are their functions? They are both sugar alcohols which have a sweet taste but come with fewer calories than table sugar. Since our bodies absorb these sugar alcohols more slowly and often incompletely, they do not cause a sharp rise in our blood glucose levels. Sorbitol is produced from tapioca while Xylitol is obtained from birch trees. 10. Does BRAND’S® Bird’s Nest contain any artificial colour, flavour, preservatives or stabiliser? BRAND’S® Bird’s Nest does not contain any artificial colour, flavour or preservatives. It does contain stabiliser which is of food grade and safe for consumption. 11. What is stabiliser and why is it added? Will the stabiliser cause any allergies? Why is there a need to add stabiliser into BRAND’S® Bird’s Nest? Stabiliser acts as a thickening or gelling agent, usually added to enhance product texture. The stabilizer used in BRAND’S® Bird’s Nest is food grade and safe for consumption and is not known to cause allergies. Stabiliser is added to provide the smooth mouth feel and texture for a better sensory experience and greater enjoyment. 12. Can people who are allergic to food proteins consume BRAND’S® Bird’s Nest? If you are aware that you are allergic to food protein, please consult your doctor before consuming it. 13. Does the consumption of bird’s nest aggravate or help people with asthma problems? Please consult your doctor if you have concerns consuming bird’s nest due to an asthma condition. 14. Can pregnant women consume BRAND’S® Bird’s Nest? Please consult your doctor/gynecologist if you have concerns consuming bird’s nest due to your pregnancy. 15. Who should take BRAND’S® Bird’s Nest with No Added Sugar? Is it more suitable for diabetics? It is suitable for health conscious consumers who value the health benefits of bird’s nest but have concern over sugar content. As the sweeteners, Sorbitol and Xylitol, used in BRAND’S® Bird’s Nest with No Added Sugar do not cause a sharp rise in our blood glucose level and have lower calories as compared to sugar, it is suitable for diabetics. However, if you have any concern regarding sugar intake, please consult your doctor. 16. Are there any side effects of consuming Sorbitol and Xylitol? Excessive consumption of more than 30mg/day may have a laxative effect. 17. Will the usage of BRAND’S® Bird’s Nest help to improve skin condition? While BRAND’S® Bird’s Nest can help to maintain healthy and radiant skin, it is not meant to cure or treat any particular skin problem. Every individual has different nutritional requirements and the skin condition may differ depending on various reasons. As such, if you have any existing skin condition, please seek professional advice from a dermatologist. 18. How long do I have to consume BRAND’S® Bird’s Nest to see results? As every individual has different nutritional requirements and skin condition may differ, results may vary. 19. When is the best time to consume BRAND’S® Bird’s Nest and is it too much to consume every day? From the Traditional Chinese Medicine (TCM) perspective, there is no specific timing or recommended dosage to take daily. Hence, you can consume according to individual needs and preference. If you have any medical enquiries, it is best to seek professional advice. 20. How does BRAND’S® Bird’s Nest remain fresh without preservatives and the need for refrigeration? Every bottle of BRAND’S® Bird’s Nest is sterilised and airtight sealed for freshness, hence no refrigeration is required. Keep in cool dry place and avoid direct sunlight for the best quality. 21. What is the shelf life of BRAND’S® Bird’s Nest? The shelf life is 24 months in its original packaging, kept in a cool dry place, away from direct sunlight. BRAND'S® Bird's Nest with No Added Sugar may be consumed straight from the bottle at room temperature, chilled or warm according to one's preference. Keep in cool dry place and avoid direct sunlight for the best quality. Consume immediately upon opening.